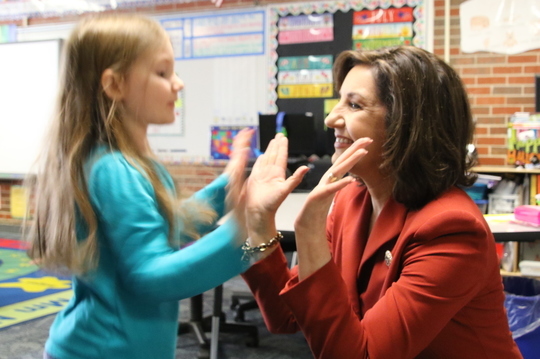 State Superintendent of Public Instruction Joy Hofmeister gives a double high-five to a pre-K student at Liberty STEM Academy in Sapulpa. You’re on my mind today, and I just wanted to say thank you. I realize it’s almost time for state testing, which brings added stress. This is a very unique year as Oklahoma transitions to new academic standards, new assessments and the all-too-familiar uncertainties of school budgets. You have continued to overcome obstacles and remove barriers for kids amid growing class sizes, teacher shortages and severe reductions of critical programs and support services. It’s not right, but we will remain steadfast and work for what kids need. Your dedication to kids and advocacy for their individual needs has not gone unnoticed. I am inspired by your tireless advocacy, professionalism and heart. Our students know it, too. When it’s easy to allow stressors on adults to transfer to the children in our schools, you protect our kids. When they experience trauma, you are their safe harbor. For every act of kindness or word of encouragement that you have quietly given, please know that I appreciate you, and your investment in the lives of children will reverberate for many years to come. A teacher’s assistant at Perry Upper Elementary School was recently charged with multiple counts of lewd or indecent acts with children. Police say at least 10 students had taken their concerns about the assistant to the principal and a math teacher, but the educators did not believe the allegations and failed to promptly report the incidents. “This situation in Perry is a stark reminder to anyone who works in our schools that it is unconscionable to say nothing or look the other way when there is an allegation of an adult victimizing a child,” said State Superintendent of Public Instruction Joy Hofmeister. To report an incident, call (800) 522-3511. Thank you for helping keep our kids safe. Education has been a topic of attention in the Legislature this year. There are currently 832 legislative bills alive after the first committee deadline. Of those, 179 affect education. The deadline for bills to be heard on the floor in their house of origin is today, March 23, and the session must conclude by the last Friday in May. 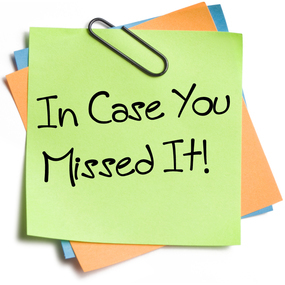 Below are a few bills that have received considerable attention. Please note: The descriptions included are very brief; follow the links to read the complete bills. TEACHER PAY: More than 50 bills were introduced regarding teacher pay. Only five are still alive. HB 1114 by Rep. Michael Rogers, the “1-2-3” plan, seems to be the most likely vehicle. It passed the House, 92-7. 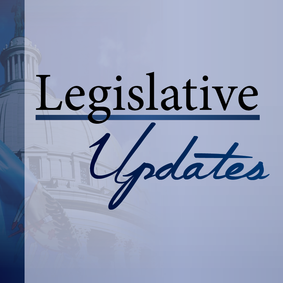 SCHOOL REPORT CARDS: HB 1693 by Rep. Scott Martin passed the House, 72-20. This bill repeals the old A-F system and sets up a framework for the OSDE to implement a more meaningful, reliable and valid school report card with a multi-measures approach to accountability and a public-facing dashboard to contextualize information for each school and district. READING SUFFICIENCY ACT: Two bills would extend the Student Reading Proficiency Teams. HB 1760 makes the team a permanent piece of the RSA process; SB 84 extends the use of the committee by five years. TEACHER SHORTAGE: SB 14, SB 15 and SB 428. CURRICULUM/GRAD REQUIREMENTS: HB 2155, HB 2156 and SJR9. SCHOOL PERSONNEL: HB 1622, SB 392, SB 514 and HB 1576. FUNDING: HB 1115, HB 1578, HB 1837 and SB 389. SPECIAL EDUCATION: HB 1623, HB 1206, HB 1789 and HB 2008. Learning from fellow science educators is one of the best ways to add to your own teaching practices. However, many educators don’t have opportunities to watch other teachers or participate in grade-level teams to discuss lessons they’ve taught. Enter teacher blogs. These sites can be valuable resources for professional development. Two local blogs, OK Sci Teachers and Teaching Elements, focus on lessons incorporating the new Oklahoma Academic Standards for Science. Explore six great posts from these two sites to get you started. Melting Ice Investigation: Investigate how quickly ice will melt in bare hands versus a gloved hand. Students Experiencing 3D Learning for the First Time: A teacher reflects on a first-time lesson introducing new concepts. Using Phenomenon to Engage Students: Move the application to the beginning of the lesson to explain how molecule behavior, energy and condensation are related. Generating Phenomena Ideas: Illustrate atmosphere, geosphere and hydrosphere using real-life examples. Constructing Explanations in Science: Use writing to prompt students to explain their thoughts. Developing and Using Models: Modeling is more than just labeling the parts of a cell or building DNA models out of candy. EngageOK is going on the road again this summer! At all seven sites, sessions will offer rich and meaningful professional development focused on a host of education topics. Taking the conference on the road is designed to save attendees on travel costs. It is a great opportunity for education stakeholders to come together close to home to share ideas and best practices, discuss new legislation and enjoy camaraderie with fellow educators and parents. The agenda for each session will be posted as soon as it’s available. The conferences are free, but registration is required. To register, click here. How Important Is Phonemic Awareness? The answer is a lack of phonemic awareness. 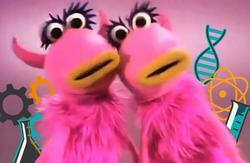 Their brains are not used to thinking about words as individual sounds or phonemes, so they have difficulty blending and segmenting all of the sounds. Don’t worry! There are lots of things you can do to help. I do little activities throughout my day to encourage complete phonemic awareness. With my first-graders, I start the year with words of two to three sounds, and by the end of the year, we are segmenting and blending words with four to six sounds. We do these activities as we are lining up for lunch, while we are waiting for our librarian or counselor to start a lesson or when we have two minutes of downtime. Activity #1: Use an animal Slinky to help students visualize phonemes. As you stretch the Slinky, say each phoneme in the word. Then, collapse the slinky quickly while your class chorally says the word. Activity #2: Use the parts of the body to sound out words. Say a word and have the students repeat it. Then, ask students to sound out the word on their bodies. Have them touch their heads as they say the first phoneme, touch their tummies as they say the middle phoneme and touch their feet to say the last phoneme. This is a great activity to engage their mind, body and brain! For more ideas, visit the website for Oklahoma Phonological Awareness. To read an exclusive interview with Amanda, visit the Milken Educator Award website. Congratulations to two Oklahoma teachers who are using free resources from Ag in the Classroom (AITC). Debra Deskin, a second-grade teacher at Orvis Risner Elementary in Edmond, was recently named the 2017 Oklahoma Ag in the Classroom Teacher of the Year! 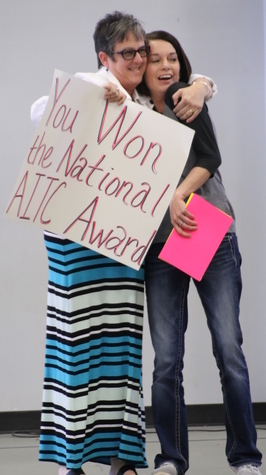 Meanwhile, our 2016 AITC Teacher of the Year, Amber Bales, has won the National AITC Award. She teaches third grade at Morrison Elementary. Amber integrates agriculture and technology into her everyday math, reading and science lessons. To learn more about the free teacher resources from Ag in the Classroom, click here. 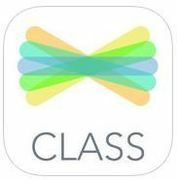 Apps are making teachers’ and students’ lives easier and are a great fit for 21st-century learning. Explore these ten popular applications that can make your lessons spring to life. 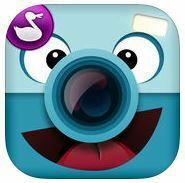 ChatterPix Kids: Make any picture talk with this storytelling app for early elementary. Simply take a picture or make a drawing, draw a line where the mouth should go and record your voice. Free. 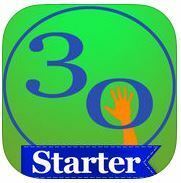 30Hands: Create quick slide presentations. 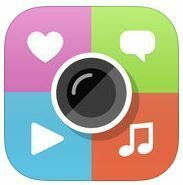 Students can snap photos, draw pictures or record short videos, then record audio and share online or in class. Free; $6.99 versions; web version $59/year. Explain Everything: An easy-to-use screencasting and interactive whiteboard allows students to record their voices to explain their understanding. $7.99-15.99 or subscription based. 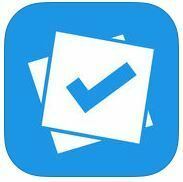 Plickers: Quickly create quizzes online, then use your smartphone to assess students. Students receive immediate feedback, and the data is stored for later teacher review. Free. Green Screen: Students can easily make videos with fun backdrops to tell a story or teach others. $2.99. 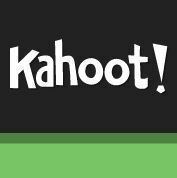 Kahoot: Students enjoy competing against each other through quiz games you create online. Students will need a number of internet-connected devices, depending on whether they compete individually or in teams. Free. Seesaw: Show parents what their children are learning in class with this digital portfolio. Students document their own learning. 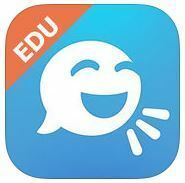 Free or $120/teacher/year for premium features. 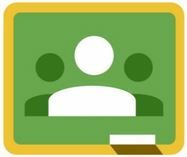 Google Classroom Suite: Students can collaborate on online word processing documents, spreadsheets and slide presentations and save them to the cloud. Teachers use Google Classroom to share assignments with students. Free. 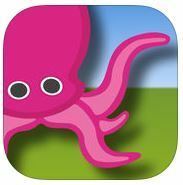 Tellagami: Young students create an animated story with their recorded voices and animated characters they design. Free or $4.99. 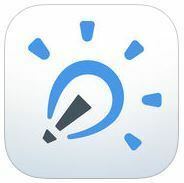 ThingLink: ThingLink allows students or teachers to add information to pictures or videos by layering links on top that provide additional information when clicked. This is a great way for students to show what they know. Free app; free to premium versions on the web. Recent legislative changes to the Teacher and Leader Effectiveness (TLE) process has placed less emphasis on quantitative measures and a greater focus on professional growth for educators. Over the past six months, educational stakeholders from across Oklahoma have been working on developing a framework for districts to pilot during the 2017-18 school year. This new component of TLE is known as the Professional Learning Focus (PL Focus). Through the PL Focus, teachers and administrators can collaborate with their evaluators to engage in personalized learning to grow as professionals. The purpose is not to attach a rating or grade to an individual’s PL Focus, nor is it to increase professional development point requirements. Rather, the goal is to provide a vehicle for learning based on an individual’s expertise area. A number of regional PL Focus presentations will take place in March, and April webinar presentations open to everyone will be focused on specific audiences. Webinars will be posted on the TLE website afterward. For more information about the regional sessions or webinars, click here. GREAT EXPECTATIONS SUMMER INSTITUTE: OSDE is pleased to announce a scholarship opportunity through the Great Expectations Institute for teachers with fewer than two years of teaching experience. The institute is a four-day summer experience where teachers learn how to build a sense of community in their classrooms, develop procedures and establish a positive culture. Applications are due April 24. For more information, click here. HISTORY SUMMER INSTITUTE: The Institute for the American Constitutional Heritage and the Center for the History of Liberty at the University of Oklahoma is hosting the “Visions of America” summer institute June 12-16 on the OU campus in Norman. Oklahoma teachers of American history and government are invited to apply for the five-day, content-rich course that features lectures and workshops with eminent historians from the OU faculty and elsewhere. On-campus housing and all meals will be provided. Attendees will receive a $500 stipend and 30 hours of professional development credit for completion of the course. Applications are due by April 14. For more information, click here. STATE FAIR SCHOLARSHIP: Encourage your graduating high school seniors to apply for this year’s Oklahoma State Fair Scholarship. Established in 2002, the Oklahoma State Fair Scholarship has awarded more than $200,000 to deserving and qualified Oklahoma youth. Applications for this year’s $2,500 scholarship will be accepted through March 31. For more information, click here. ART EXHIBITION: All PK-12 students are eligible to enter the Oklahoma Student Art Exhibition, a juried art show that selects exhibits for the Oklahoma Contemporary Arts Center during the 11-day run of the Oklahoma State Fair. Students and schools can also win individual honors. An art scholarship is available to graduating seniors at schools that participated in the exhibition within the past two years. For more information, click here. 19 POINTS ABOVE AVERAGE: Oklahoma’s American Indian students continue to lead the nation in math and reading scores. A national study shows significant gains in reading for Oklahoma fourth-graders, who scored 19 points above the national average. To read the story, click here. WHEN FIRE DRILLS AREN’T ENOUGH: More than 900 educators from 200 districts registered for OSDE’s free crisis team trainings, designed to help students and staff grapple with deaths and natural disasters in their schools. To read the story, click here. 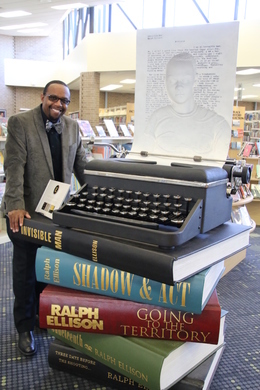 KNOW THYSELF: The Ralph Ellison Foundation is challenging teachers to examine the complexities of race, identity and culture with the launch of a new curriculum that explores the work of the Oklahoma native who became a world-renowned author. To read the story, click here. The curriculum will soon be posted on the foundation’s website. MATH READY: A high school course designed to dramatically reduce college math remediation will be in Oklahoma schools next year. The goal of College Career Math Ready is to prepare students for college-level math coursework. To learn more about the class and summer training, click here. To read the news story, click here. NEVER FORGET: Oklahoma students are learning about the Oklahoma City bombing through field trips to the Oklahoma City National Memorial and Museum and its ground-breaking Uncover-Discover STEM lab. To watch the video, click here. 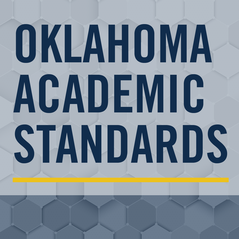 TESTING NEWS: Because of the adoption of the new Oklahoma Academic Standards, the Oklahoma School Testing Program (OSTP) will require a reporting delay this year. Ultimately, the number of tests (18) undergoing standard setting will result in final OSTP reporting in October. For more information, click here. Just Between Friends CEO Shannon Wilburn, OKC Thunder player Kyle Singler, former Oklahoma governor Brad Henry, Tulsa Mayor G.T. Bynum, Oklahoma City Mayor Mick Cornett and founder of Eskimo Joe’s Stan Clark. ShapED My Life is a reminder of the ways educators change lives and leave a lasting legacy in the minds of their students. To see all the videos, click here.